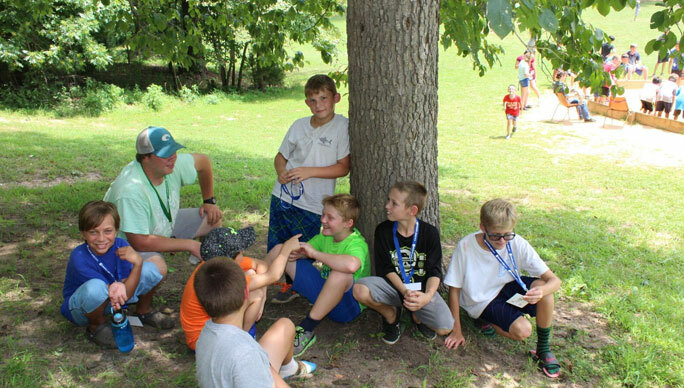 Cloverbud Camp is designed to introduce children ages 5-8, to the 4-H Camping experience. Campers will experience the fun and excitement of the 4-H camping program by learning new things, singing camp songs, and participating in hands-on activities. This covers all programming fees, meals, lodging, and t-shirt! This camp is limited to 60 boys and 60 girls. Registration will be accepted on a first come first serve basis, so don’t wait to register! Camp is for 5-8 year olds. There will be a trained volunteer leader for every 8 campers. There is no cost for adults and teens attending as a TRAINED volunteer chaperone at the one to five ratio. After the ratio is met, adults and teens will need to pay $60. Please contact your local Extension Office if you are interested in volunteering.